Private lessons are one-on-one consultations based on setting your dog up for success not failure by being proactive not reactive. The key to success lies in training you to train your dog. Private lessons last approximately one hour. How to handle chaos at the front door. There are three main types of unwanted behavior exhibited at the front door: uncontrolled barking when people come to the door, over exuberant (annoying) friendly behavior at the door, and door dashing. Remember, you cannot solve all three issues at once. I will take you step-by-step and show you how to solve each issue. Inter dog fear aggression. Much depends on how long your dog has been exhibiting this behavior. Sometimes, successful behavior modification will mean that your dog can be helped to tolerate other dogs as they pass by rather than lunging out. Your dog may never play with other dogs, but walks can be pleasant. Fear of people. This issue can be dealt with regardless of whether the fear is exhibited inside your home or outside.You'll need to convince a few friends to do a "walk by." Resource guarding. 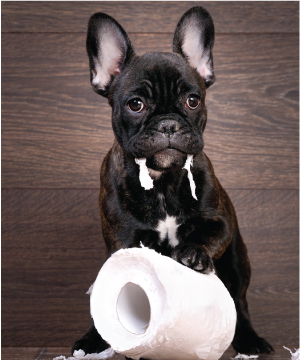 After a few sessions your dog will be wagging his tail as you walk by even as he is gnawing on his favorite chewy. Other issues. Separation anxiety, Counter cruising, Creating boundary lines, Selective listening skills to the recall command. PRIVATE LESSONS ARE $100/HOUR (PLUS HST). Save $30! Three prepaid private lessons ($270 plus HST). Value cannot be transferred to other services and must be used up within three month’s time. Telephone consultations are $60 per hour (minimum one hour), prepaid with a major credit card.